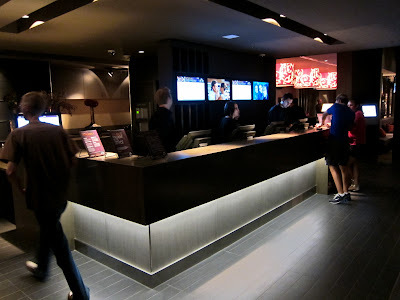 I was in Austin a couple weeks ago and somehow ended up in an iPic Movie Theater (twice). Usually I'll never go see a movie when travelling since you can do that pretty much anywhere. I'd rather have experiences that I could only get in that city (e.g. 6th St. live music in Austin), but this sounded unique enough that I had to try it out. 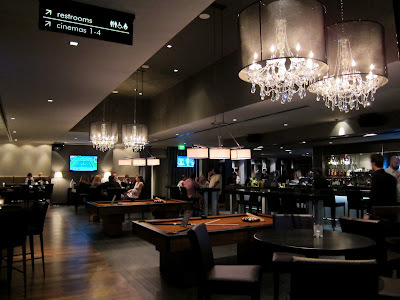 When I walked into iPic, the last thing it looked like was a movie theater. Ticket sales looked like a fancy hotel lobby, there was a full bar, full dinner menu, and free pool tables. What I embarked upon was the most comfortable movie going experience I've ever had in my life. Here's the deal. The theater is 21+ only, no kids, no crying babies. 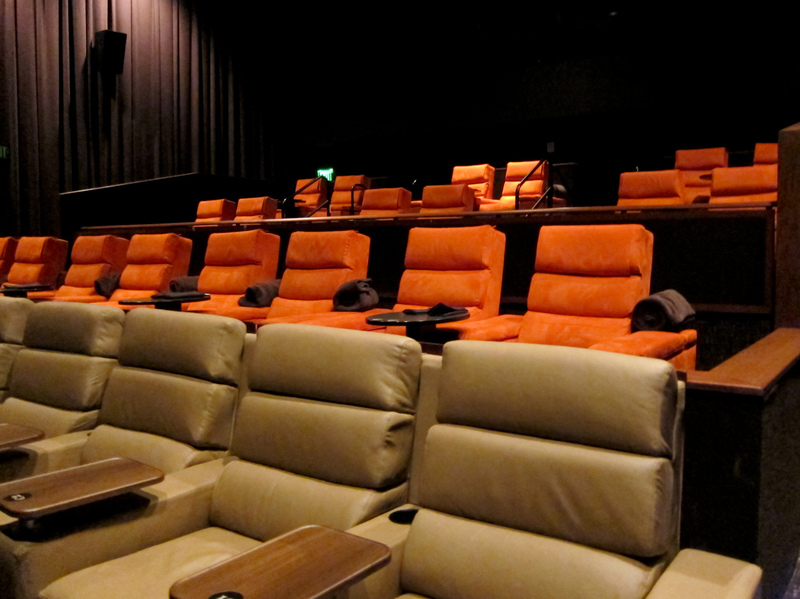 Each theater only has a few dozen seats and there are 2 different seating options: Premium and Premium Plus. 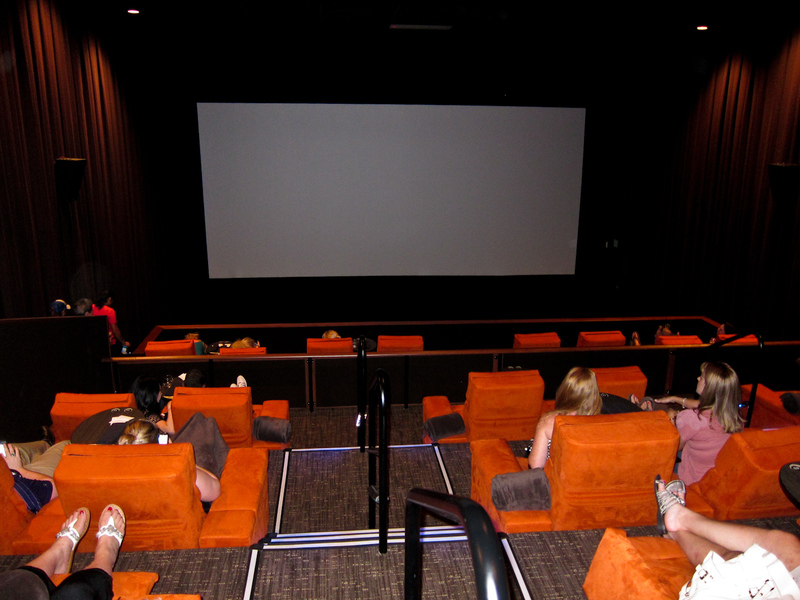 Premium seats are at the front of the theater and go for $19 a person. The main pluses here over a normal theater are access to the lounge before the movie, huge leather seats, reserved seating (like picking seats on an airplane) and the ability to bring dinner and drinks into the theater. Now the premium plus seats are a bit more interesting and go for $29 a person. What do you get for the extra coin? 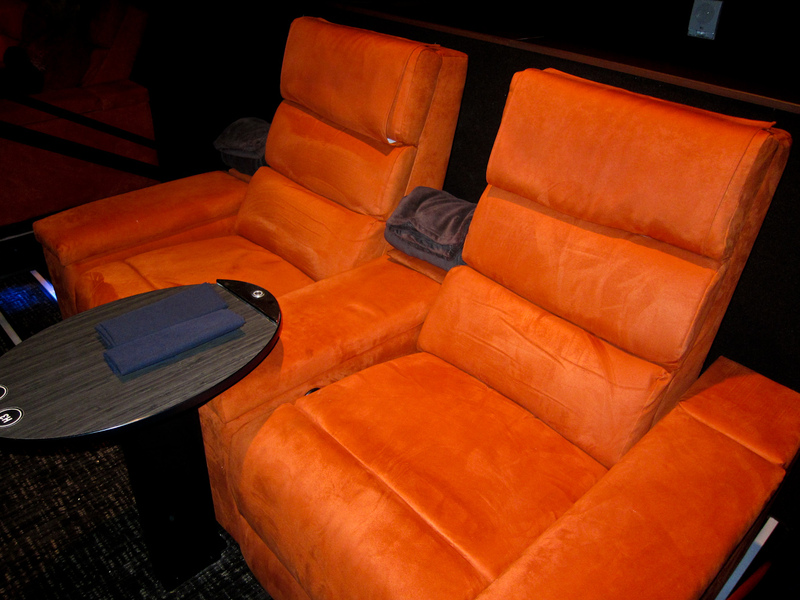 Giant plush seats with an electronic recliner, full table service during the beginning of the movie, blankets, and unlimited popcorn. 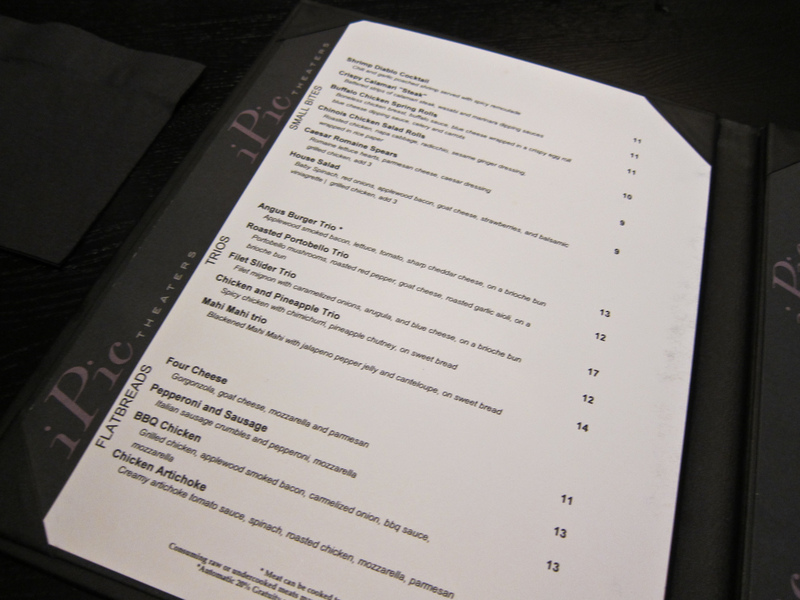 That's right, you can order full dinner along with all the drinks you can handle inside of the movie theater. It was such a slick experience I ended up back there the next night as well. With so many movie goers in the San Jose area (obvious by the number of theaters we have) along with the highest household income for a large city in the US, you would think this would be a no-brainer location for a premium theater. 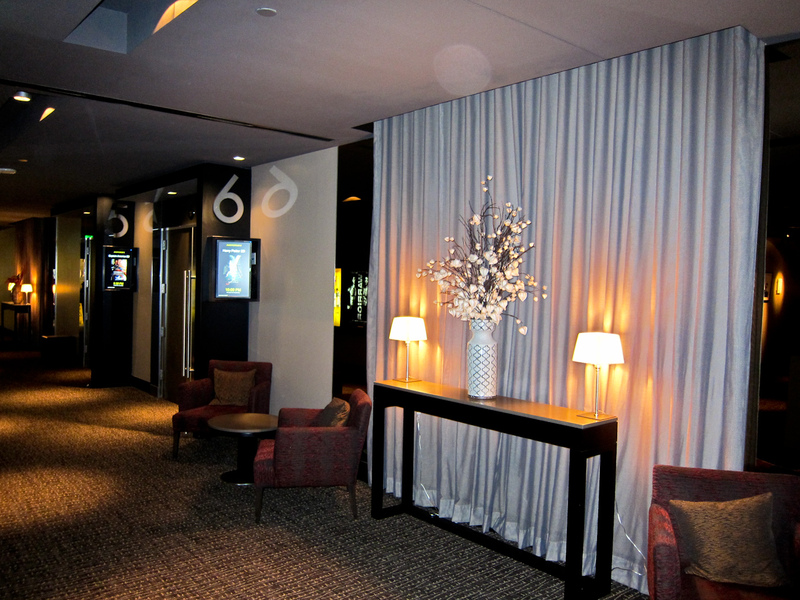 I bet an iPic here would be a tremendous success. While sipping a Martini and watching the previews, I couldn't help but think "why didn't they build one of these at Santana Row instead of CineArts?" Looks awesome! The only thing missing is a cell phone blocker. Wow! It looks like a Vegas hotel. That's really cool. Looks like LRT in Portland. 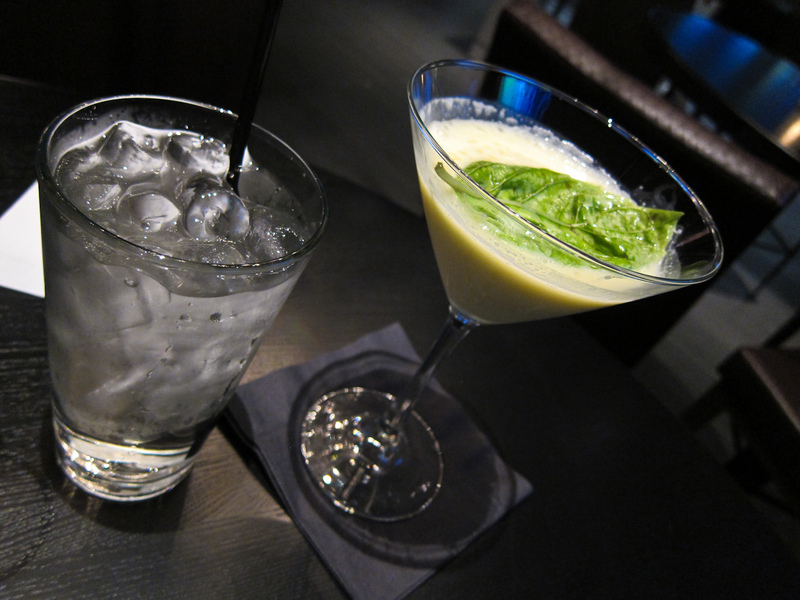 There's usually some live music in the lounge too. Convert camera 3 to something like this maybe? Not cinema related Josh, but do you have any idea what ever happened to the Tavern + Bowl they're supposed to build at The Globe, S. Second Street. Please don't tell me that fell through. Don't know anything about it being cancelled, still happening as far as I know, but I haven't seen any construction in that space yet.